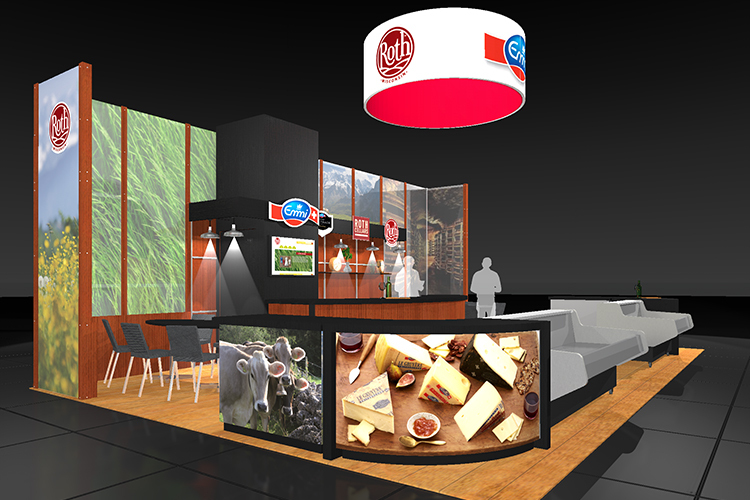 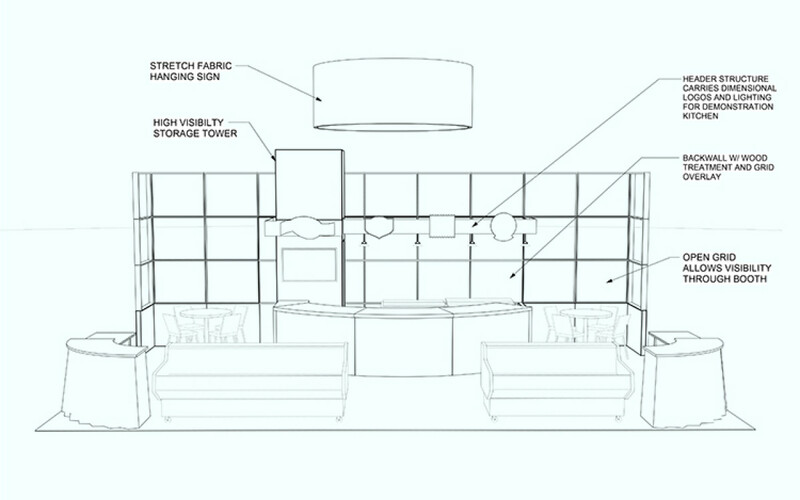 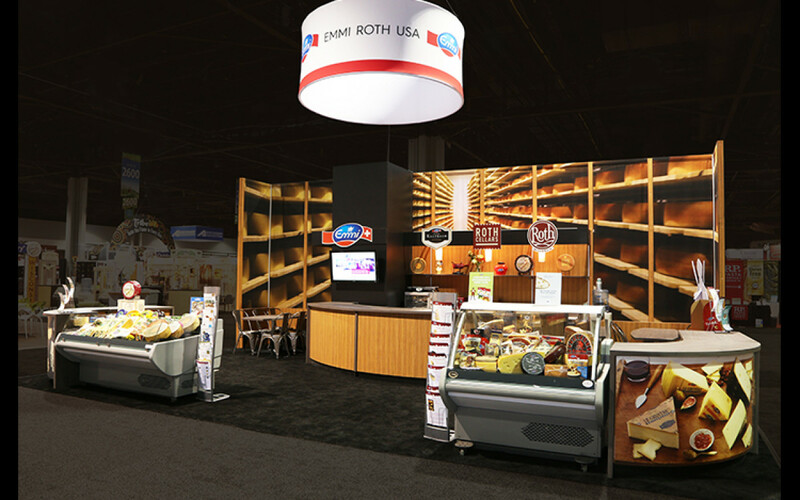 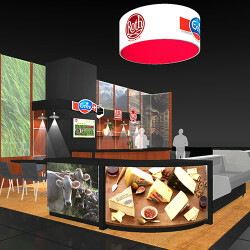 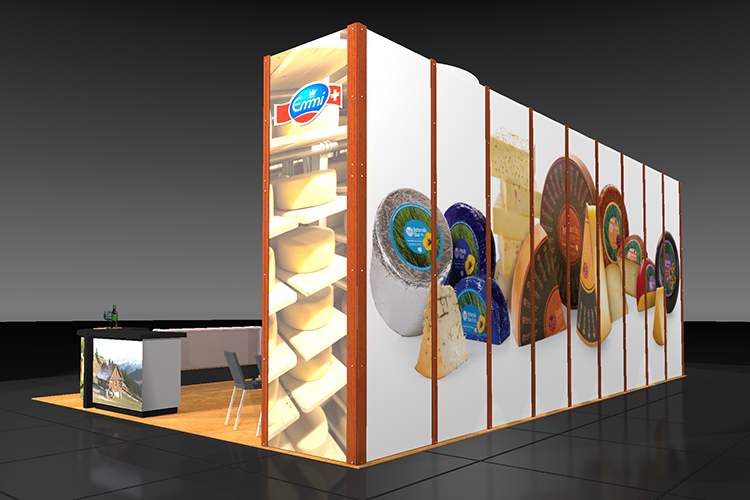 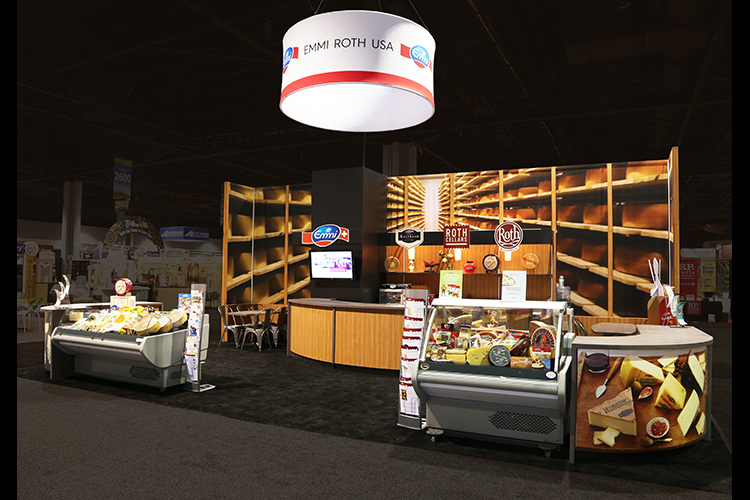 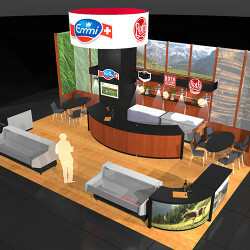 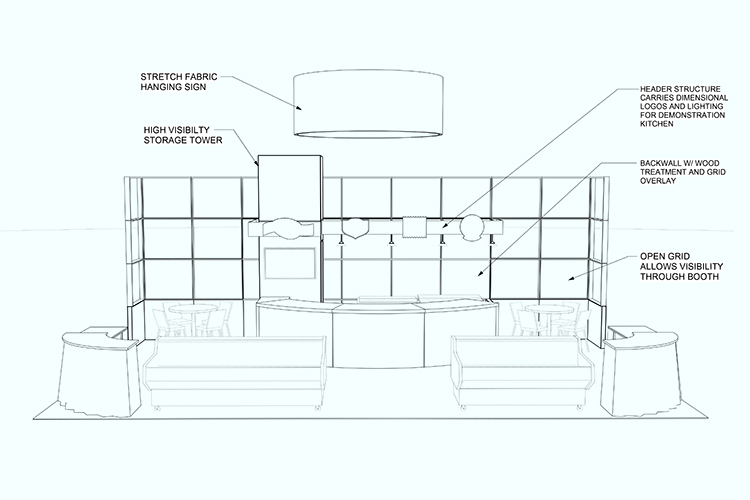 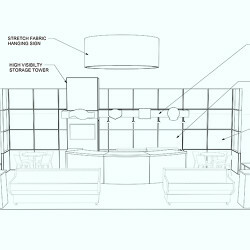 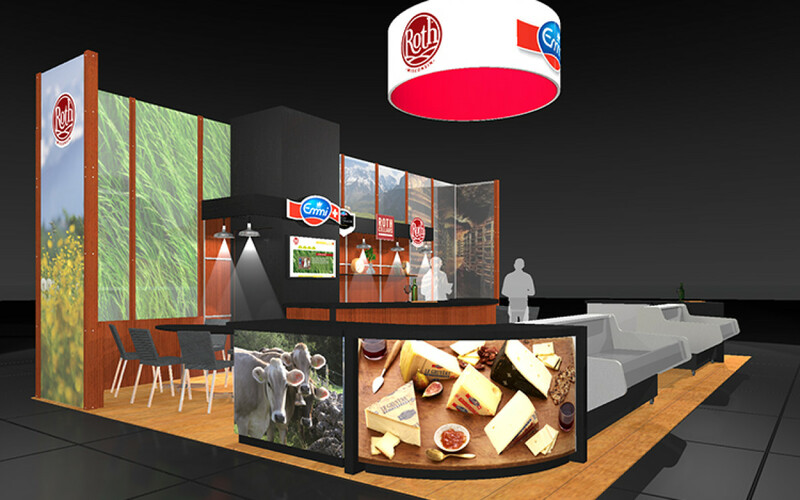 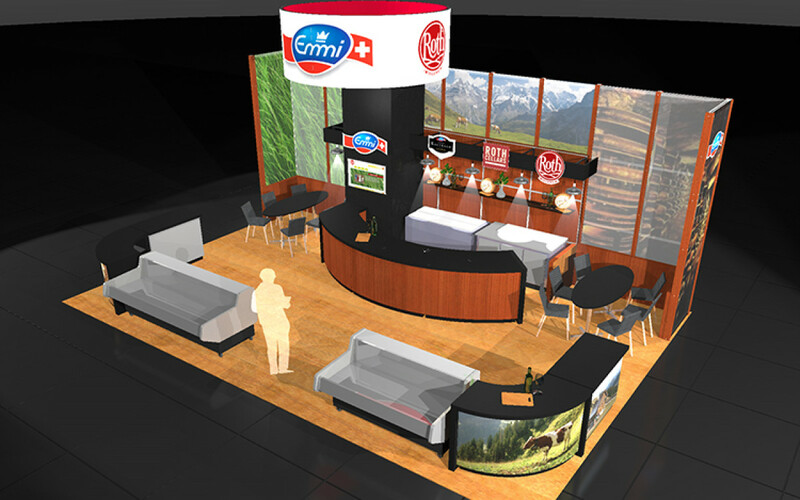 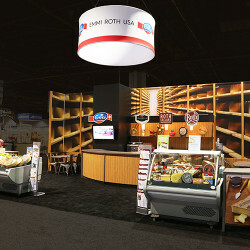 Emmi Roth USA uses this Custom Hybrid booth with open plan kitchen, prep and cheese sampling counters. 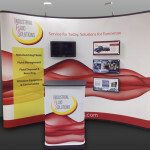 Includes meeting areas, demo areas, large graphics and a hanging sign. 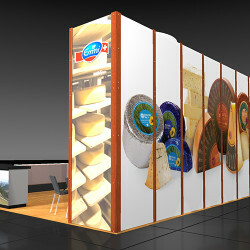 This exhibit is designed to be reconfigured into different sizes and footprints.